That's so wonderful. Never too early to start. Fantastic! That didn't take long! She will be a natural quilter by the time she is 5. 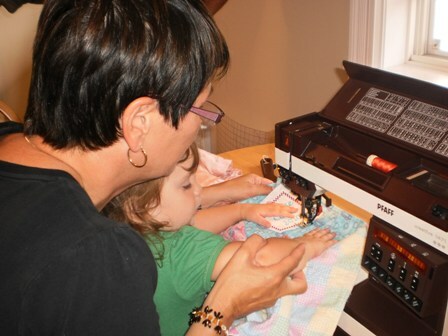 Do you have an age minimun for your quilter's guild?